From PC Manufacturers, Retailers, IT Departments, and Managed Service Providers Eurosoft’s Virtual Pc-Check puts the power of Pc-Check in your customer’s hands. 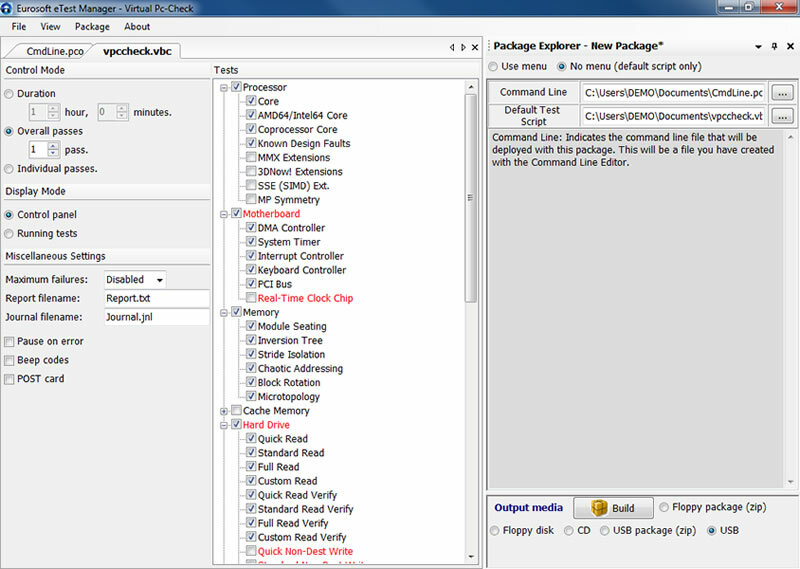 Eurosoft Virtual Pc-Check™ uses Eurosoft’s flagship software Pc-Check®, in conjunction with virtual pre-scripted test modules, to instantly determine the hardware condition of end-user PCs in the field – so repair or return decisions can be made reliably. Independent of operating systems, Eurosoft Virtual Pc-Check™ quickly and accurately identifies hardware faults of installed PCs, providing substantial service advantages for end-user technical support by delivering hardware information and testing for all levels of PC users. Despite the best efforts and intentions, there will always be some units that fail in the field. Because of this undeniable reality, companies who service PCs are faced with deciding how to support and react to failures in the field. To deliver cost-effective direct and channel support, servicing organisations need to identify any hardware failures encountered by users as quickly as possible. Virtual Pc-Check hardware diagnostic tools provide the crucial tools that allow PC users to run in-depth, transparent hardware tests so that problems can be identified and fixed in the field, preventing the need to return PCs to service and warranty centres. 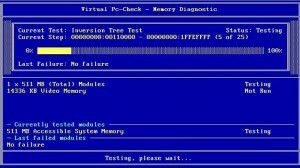 Companies who implement a remote support strategy require reliable computer diagnostics in order to accurately diagnose PC hardware in the field. Unreliable and inaccurate diagnostics cost companies and technicians valuable time and money through inaccurate results and customer dis-satisfaction. Virtual Pc Check diagnostics are reliable and enhance service reliability, decrease technical support telephone calls, and improve customer satisfaction and confidence. End users not only need reliable diagnostics, they also need flexible reporting features that allow the diagnostic results and system information to be captured in a way that is easily sent back to remote technicians. Virtual Pc-Check hardware diagnostic tool provides system information and diagnostic test results in printable reports, and as database-friendly XML outputs that can be emailed to remote support technicians. Remote support operations often require the end user to initiate diagnostic testing on their PC. Field support diagnostics need to be easily accessible and easy to launch by the end user. By providing PC users with a comprehensive library of customised pre-scripted, auto-installed diagnostic routines, PC service professionals can thoroughly test systems and identify errors while the PC is still in the field. Self-help test solutions improve customer satisfaction and allows PC service organisations to reduce the numbers of PCs returned, lowering service and warranty costs so you and your customers save money. Field support diagnostic solutions need to be present on end user’s PC s at some point in order to test the PC. Downloading diagnostics on demand is an emerging strategy among managed service providers. The most common and effective strategy is to include the diagnostics with the machine when it leaves the factory. This approach is beneficial because it eliminates a step for the end user. Virtual Pc-Check hardware diagnostic tool is designed to be bundled with the PC when it arrives with the end user. Virtual Pc-Check is not nag-ware or Windows desktop clutter as seen in some remote support operations. Virtual Pc-Check resides on a hidden hard drive partition and functions as a booting media in order to offer the safest, most reliable remote diagnostic experience possible. One of the primary goals of a remote support strategy is to reduce the number of failed units returned to the supplier. 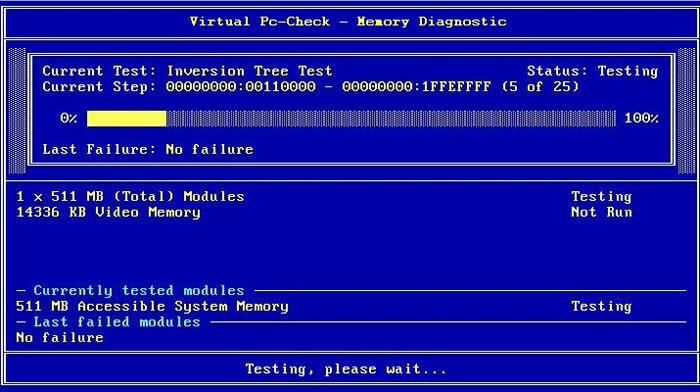 Virtual Pc-Check diagnostics reliably find faulty hardware. 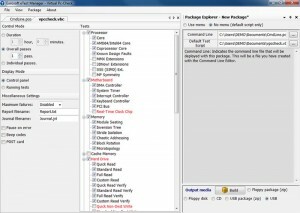 Virtual Pc-Check hardware diagnostic tool also allows PC errors and failures to be diagnosed in the field eliminating huge shipping costs induced by mailing the entire unit back. For an end user, the field diagnostics should be easy to run and require little or no choices to be made. For remote support technicians, the ability to create and bundle standard test scripts is essential to ensure that the same test and test settings are used each time a test is run in the field. Virtual Pc-Check provides 22 comprehensive test groups consisting of over 100 different tests. eTestManager Windows based test management application, included with Virtual Pc-Check, allows technicians to create and save limitless custom test scripts for field process standardization one easy-to-use application.